Cook Strait Giant Weta male (Deinacrida rugosa, Stenopelmatidae). 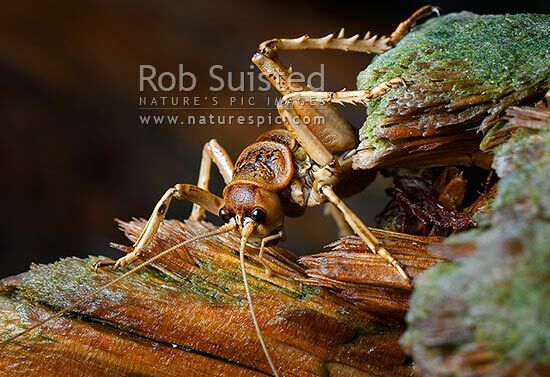 Endemic endangered New Zealand insect. Wetapunga. Island gigantism, Mana Island, New Zealand (NZ), stock photo.